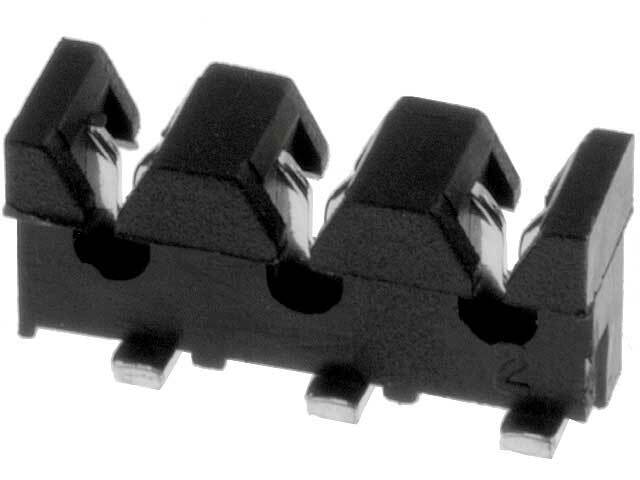 AVX 9175 series connectors, thanks to the use of IDC technology, enable fast connection of raw wires to printed circuit boards. The manufacturer provided the possibility of applying a simple tool (069175701601000) – a screwdriver bits. Through – wire design of the connector allows pointwise connection as well as distribution of the potential in several locations by means of a single conductor. The manufacturer declares connection resistance to the conditions of automotive applications, i.e. vibrations and continuous temperature changes. Small dimensions of those components constitute indisputable advantage. Typical applications include: connecting sensors, modules or LED lighting.